It is often said that businesses are as good as the decisions they take. And almost all decisions are backed by information available at hand. More the information and better they are in terms of quality, lesser are the chances of ambiguity in decision making. In the past data was used as an aid in decision making but with Big Data it has become a part of all business decisions. Big Data as it has been christened is all set to change the way business operations are managed, how they gather data and turn it into information in real time. Big data solution providers are constantly working to maximize resource usage and make enterprises efficient. There are many possibilities with Big Data and how it can be applied to businesses and here are some of those possibilities. Imagine a scenario where you have strong knowledge about the emerging trends in the market or when your equipment or infrastructure would need to undergo major maintenance. With large volumes of data, you can easily predict trends and your requirements for the future. This kind of knowledge offers you an edge in the competitive world and helps you get past your rivals. Market research is an integral part of business operations. The needs and aspirations of the customers constantly evolve and enterprises need to get inside the mind of their customers to come out with better products and services. When you have large volumes of data in your hand, it allows you to carry out detailed market research thereby improving your products and services. For any enterprise, optimizing the business process is a vital link to keeping your business sustainable and profitable. A few changes here and there can go a long way in cutting down on your operational costs and also letting you get the best out of your resources. Big data can be used to overhaul your entire business process right from procurement of raw materials, production and maintaining the supply chain. Along with this you can also streamline many of your HR functions such as hiring new talent in your organization and measuring the performance of your employees. While decentralized data has its own pros one of the major limitations arises from the fact that it can create data silos. Large organizations with multi-location presence often face this challenge. Centralization of traditional data sets often posed a challenge and prevented the entire organization from working as a team. Big data has solved this problem and offers increased visibility of the data throughout the organization. 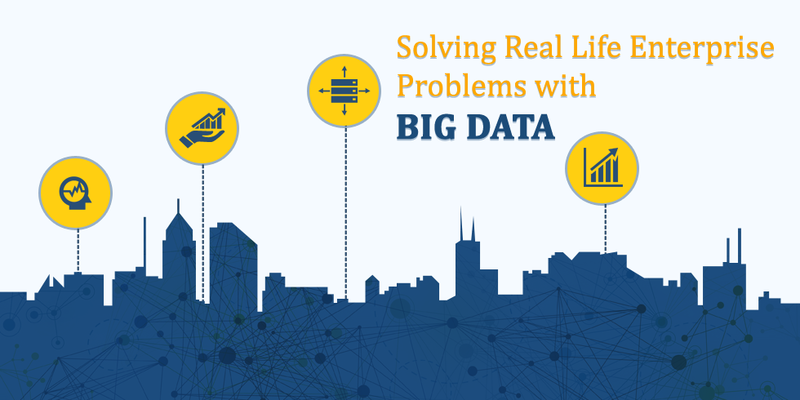 To maximize the returns from big data you need to hire big data solution provider. At Semaphore Software we are helping businesses from across different industries capitalize on big data. Our experienced team would help in solving your niche business problem and help you stay ahead of your rivals. To find out more about our solutions write to us at info@semaphore-software.com.